Lighting adds mood and drama to your decor, as well as light! Having lots of lighting options allows you to adjust for the occasion. Chandeliers, sconces, lots of lamps, recessed ceiling lights, and everything on dimmers create infinite possibilities for reading, cooking, dining, or romantic evenings. Lamps are the ultimate in flexibility. They can be design statements in themselves, and they can be moved around from room to room to change the decor at a moments notice. There are certain classics: Chinese vases wired as lamps, column lamps including converted candlesticks, floor lamps (great for corners and tight spaces), and variations on each. Looking at past and future auctions is a great way to get ideas of style and cost. 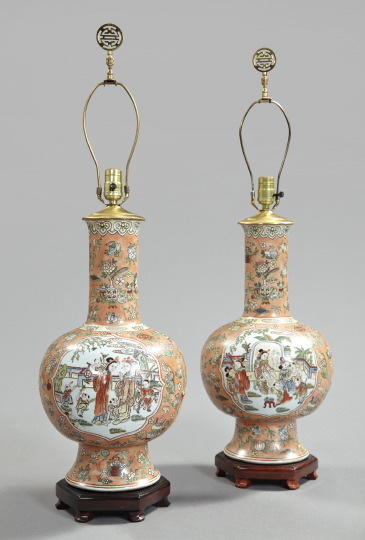 I love the shape and the peach ground of these classic Chinese porcelain vases turned in to lamps. They are 19" tall and sold for $123 at the last St. Charles Gallery auction in New Orleans. 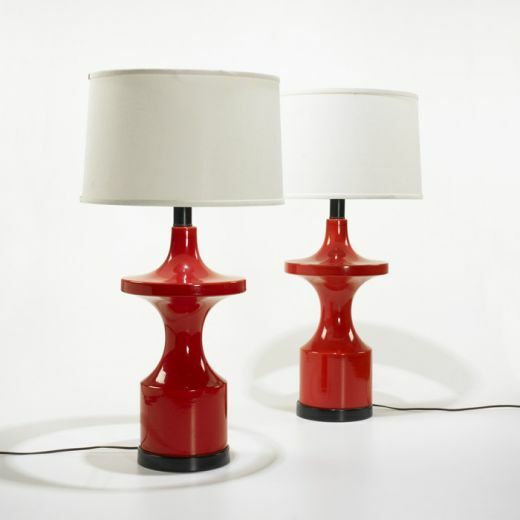 For a modern take on a classic, I like these red glazed stoneware lamps, circa 1965, sold at the last Wright Mass Modern auction in Chicago. Like the Chinese example above, they have a great shape and the red color makes them pop in any room. 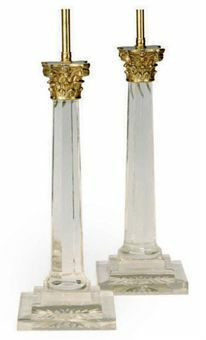 They are 31.5" tall and sold for $625. pairs of lamps. Column or candlestick lamps are always a great choice. They are simple in design and very chic! 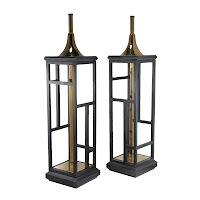 The cut glass brass mounted column lamps on the left work with traditional or modern style. These are 29" tall and sold for $1,125. 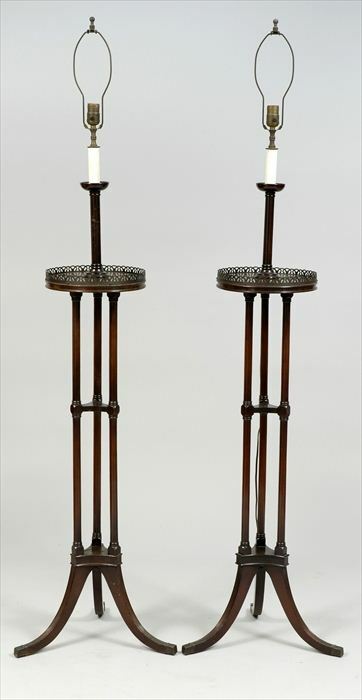 The lamps on the right are Louis Philippe patinated bronze and ormulu candlesticks mounted as lamps. These are 24.5" tall and sold for $1,750. This style is copied in new versions all the time. 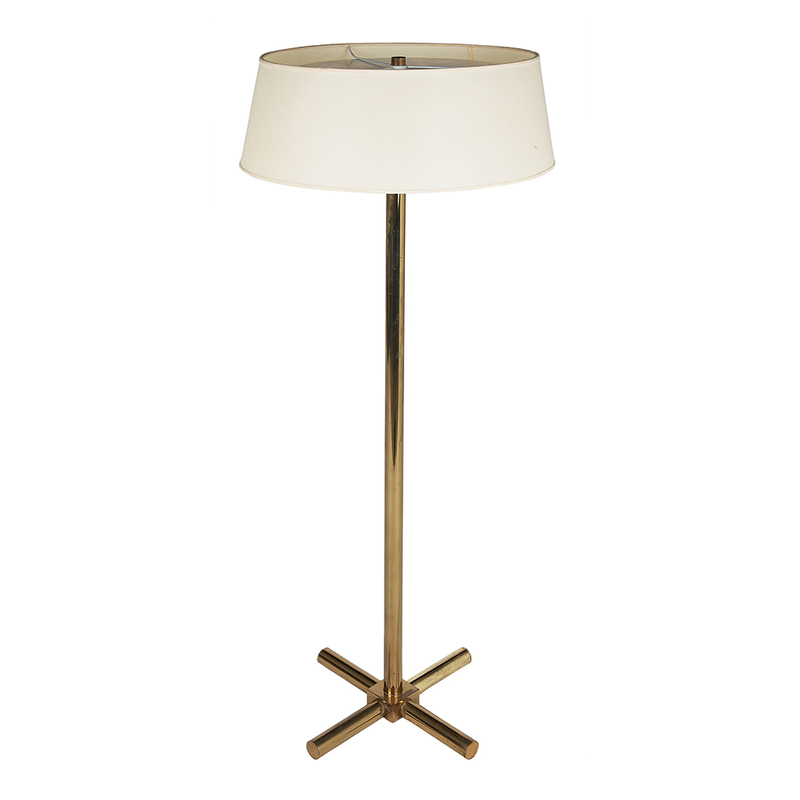 Floor lamps are great for flexibility and low profile. You may have a dark corner that needs filling, or may not have the space or want end tables in your living room. A floor lamp is a great option, and can me easily moved around the room as needed. I found these wonderfully simple regency style mahogany torcheres (left) in the upcoming Stair Galleries Exposition Auction October 8th in Hudson, NY. They even have a small table surface to use for your drink. These are Lot 43 and have an auction estimate of $150 - $300. Having a pair means you could place them on either side of a sofa, or next to two chairs for a balanced look. 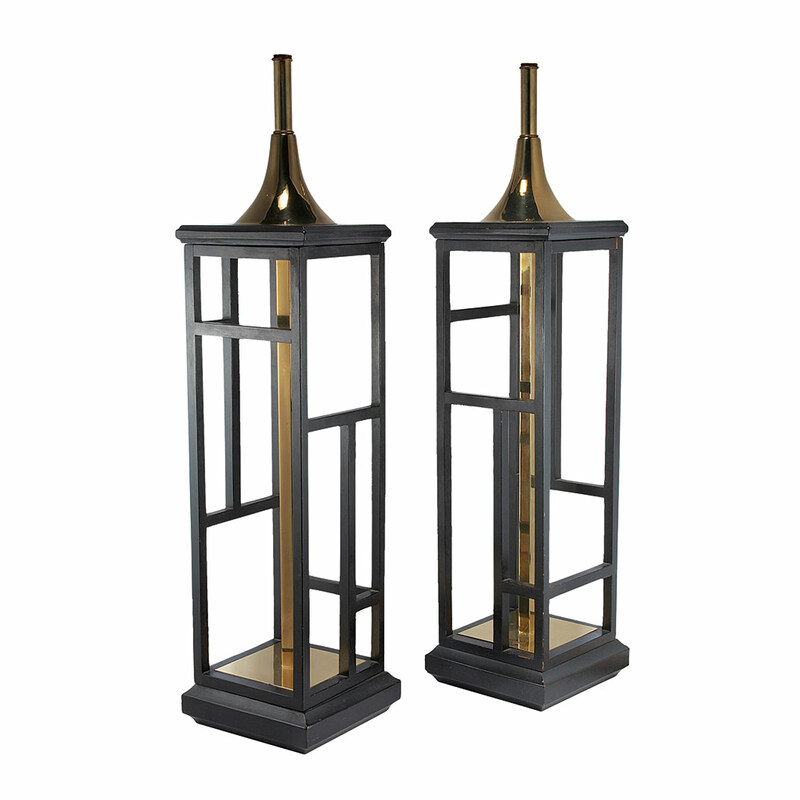 For a modern take, this TH Robsjohn-Gibbing brass lamp (right) is simple and elegant. It was sold at Doyle New York auction recently for $531. While you can't go wrong with the classics (or variations), you will find lots of what I will call 'decorator' options at auction. 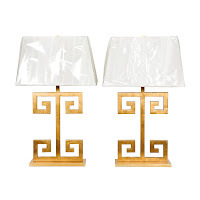 These gilt metal lamps are quite chic and sculptural. They are classic and modern at the same time. They work in a dressed up living room, or a feminine bedroom. They are 31" tall sold at a Doyle + Design auction for $813. I included these lamps in a recent blog (Inspiring rooms and re-creating the look at auction). They hadn't sold at that point, so I thought I'd revisit them here. I love them for their sculptural quality and size (31.5" tall). They make a statement without being overwhelming, and work in any style room. They are made of ebonized wood and brass and sold at the Doyle + Design sale for $875, which was above their estimate of $500 - $700. Just had a simple paper shade and you're good to go! You can always use more lamps! Use them to add a contrasting style, a jolt of color, or as a piece of art. Lamps provide light, but they can be fun too! Hi Katherine: those greek keys can definitely be had for a lower price, but I agree with you, those last two are really handsome. Ah ha! You have found another auction lessons learned! It's always good to try to research before deciding on what to bid. 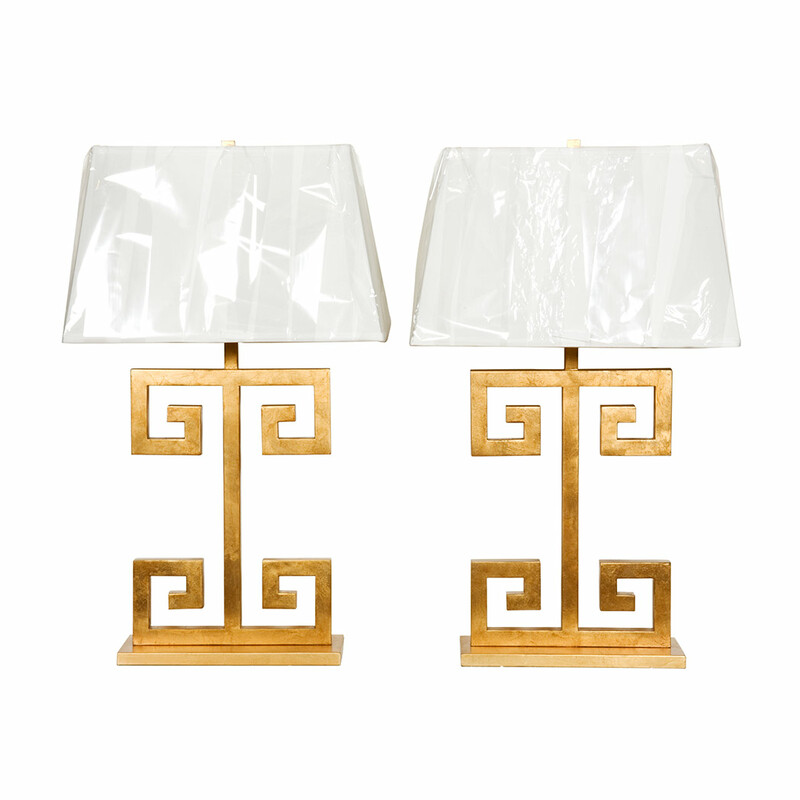 These lamps are sold at Dovecote Decor for $298 a piece. The buyer at auction overpaid. 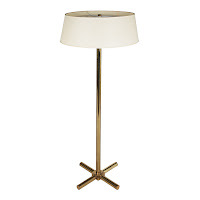 (http://dovecotedecor.com/products/Clayton-Lamp.html). We set a top bid for ourselves once at an auction on a coffee table that can be bought new at Room and Board. We stopped at our top price and it went for more than new retail.